Mercury is one of the most toxic chemicals in our environment. It evaporates at room temperature, producing an invisible, tasteless, odorless, and extremely dangerous vapor. Mercury will continue to emit toxic mercury vapor for years when left unattended. Be prepared with the CON-TROL-CURETM MERCURY CLEAN-UP KIT which answers the need for safe disposal of mercury when lamps shatter. Merconvap, the kit's primary element, is a formulation made of propylene glycol, sulfates, iodine, soluble copper, and other chemical compounds. Merconvap is 100% effective as a mercury suppressant and decontaminate. On contact with mercury or mercury-rich waste, it immediately inhibits mercury vapor emission into air and water. It prevents methylation of mercury in water. Completely biodegradable. 2 Mercontainers, made of plastic with a Merconvap-charged urethane sponge liner to safely store mercury-rich wastes (16 oz). 1 Merconspray for removing toxic mercury vapor from the air in seconds. Also excellent for spill clean-up in closed areas and for hard surface decontamination (8 oz). 1 Merconvap Liquid for decontaminating floors, walls, countertops, and other hard surfaces. Ideal for floor cracks and hard-to-reach areas (16 oz). 1 container of Merconwipe towelettes, precharged with Merconvap concentrate, cleans countertops, hands and equipment. A pop-up dispenser makes it easy to use. 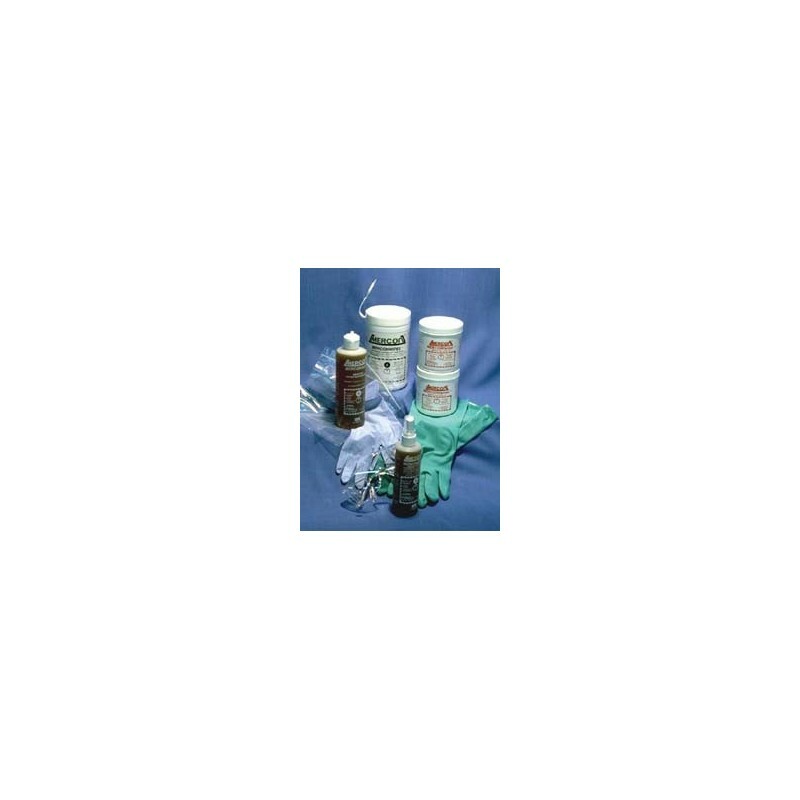 Contains cleansing and decontamination agents (160/container). 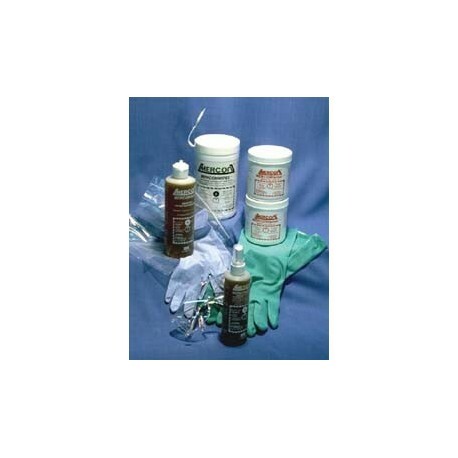 The CON-TROL-CURE®MERCURY CLEAN-UP KIT has a shelf life of approximately 2 years.